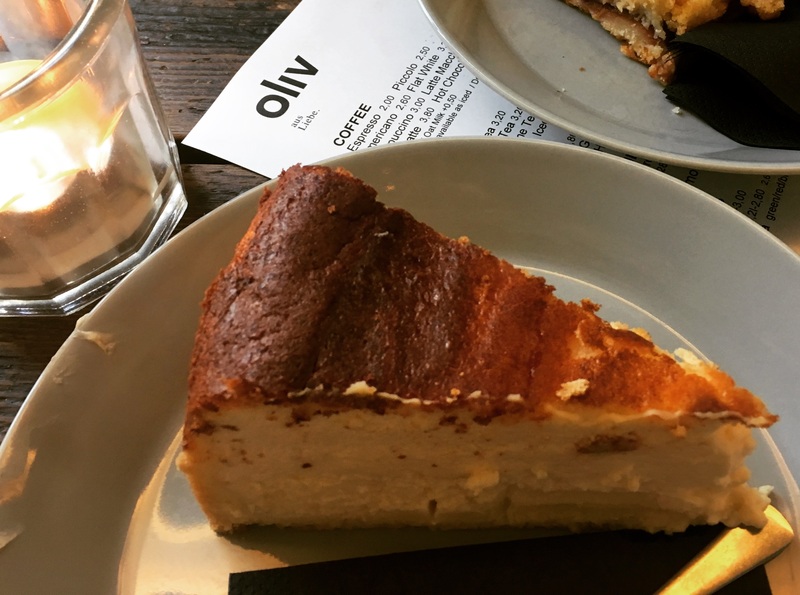 BidmeadBites visited Berlin back in 2015 and ate a bit of everything; from the classic Currywurst to Peruvian ceviche. Revisiting recently with my mum and sister, food highlights included some terrific Taiwanese dishes at Lon Men’s Noodle House and traditional frikadellen (meatball-esque German beef patties) back at Markthalle Neun, the cities funnest food market. But what I want to focus on in this post is cake. 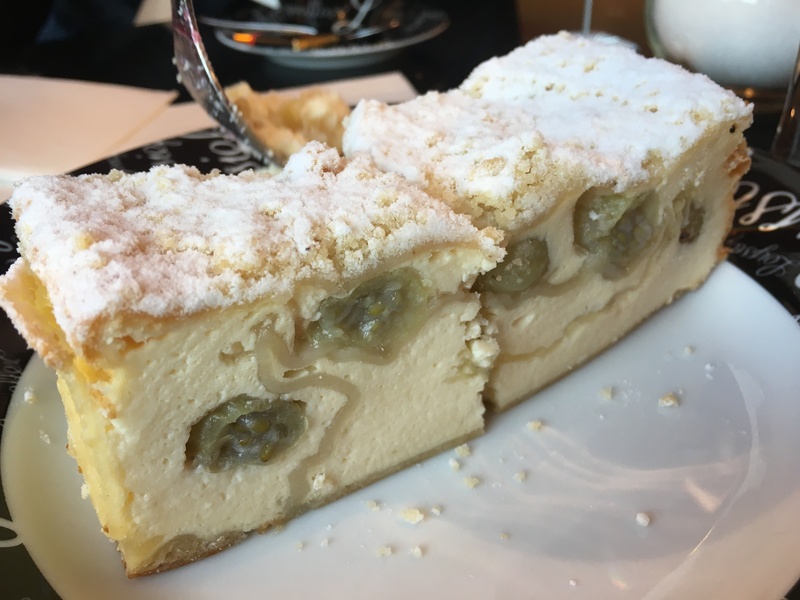 Oh, do the Germans know a bit about cake. 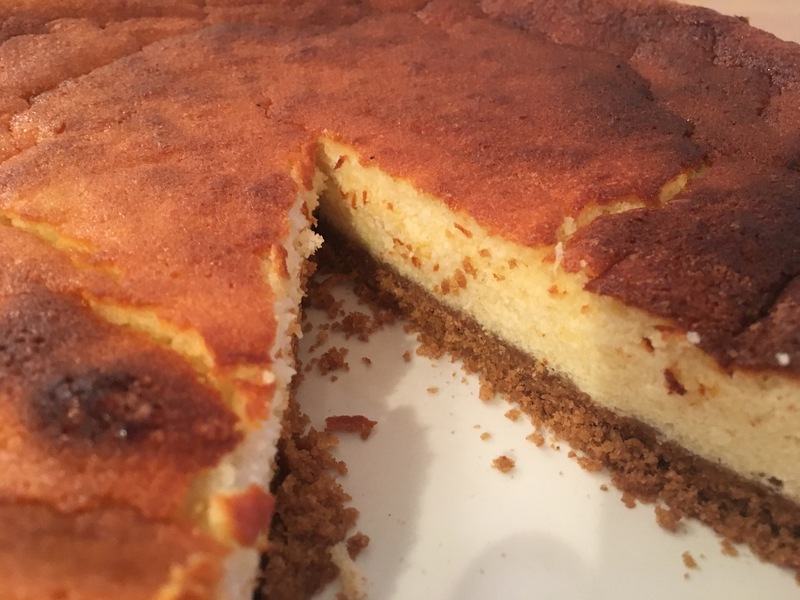 Looking to recreate this recipe at home, I took inspiration from a cheesecake recipe in a wonderfully old retro cookbook named “The Sainsburys Book of Puddings & Desserts” (published in 1980, and still one of my favourite baking books). The use of semolina and ground almonds adds richness to the quark, which is often sold in a very low-fat version. 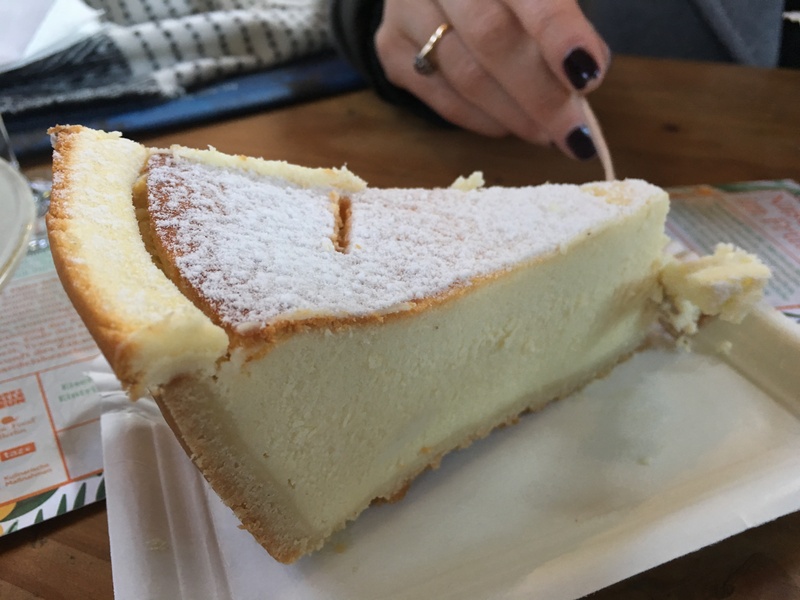 While the traditional pastry bottom in the German cheesecake is definitely a welcome addition, the labour intensive descriptions of handling this dough are less appealing. I anglicised the German recipe to include a traditional digestive base, because biscuits mixed with truck loads of butter is never a bad thing. Find my tweaked German (ish) recipe below! I slightly overcooked mine, so I recommend keeping a beady eye of for the browning of your cake on the top. Once cooked, do try to wait until it’s fully chilled to eat – the wait is worth it I promise. Use a 9 inch (23 cm) cake tin. Before you start….Preheat open to 180 degrees. Line cake tin. Firstly make your base. Either put biscuits in a big sandwich bag and bash with a rolling pin until you have fine crumbs, or put in a food processor to crush them up. Melt butter completely and mix in with biscuits, then press biscuits into base of tin until you have a nice compact biscuit base. Pop into warm oven for 10 minutes to cook, then remove. Now for the filling. Cream the butter, sugar and lemon rind together until light and fluffy. Beat in quark gradually, then mix in the egg yolks and beat thoroughly. Add the almonds, semolina and lemon juice and mix well. Whisk the eggs whites until stiff and carefully fold into the cheese mixture. Spoon into your lined cake line and bake for 50-60 minutes. Turn off oven and leave until cold (if you can manage to wait! ).